Do you need high speed internet in Mountain Springs for a convention or other temporary event? 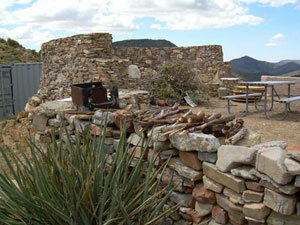 LV.Net provides high speed wireless microwave internet in Mountain Springs. LV.Net’s high speed microwave network is top tier. It operates through a series of radio relays located throughout Nevada and in some parts of surrounding states. Microwave transmission travels at close to the speed of light. Our microwave network provides internet speeds of up to 1 Gbps without trouble. Over distances data traverses by microwave broadcast, there is no concern about maintaining a fiber cable. LV.Net’s microwave network is designed for 99.999% uptime. It has a redundant power design. Licensed carrier grade radios are used on major backbone points. Each radio tower with multiple transit links uses OSPF protocol and mesh topology for fail over. Equipment that allows for pro-active management and maintenance reports port or usage errors. Equipment is kept in a cold spare state in the event that network management staff decide to use duplicate equipment. Installing microwave internet can be more cost effective than installing fiber cable, in some cases. Installation is also hassle free, and can sometimes be done in one day. High speed wireless microwave internet can reach areas where installation of fiber cable is difficult. It can be installed in almost any type of place or building, such as business offices, hotel rooms, residences, RV Parks, campgrounds, very remote parts of the desert, and vacant plots of land. LV.Net has been providing quality internet service in Clark County for over 16 years. We have the experience and capabilities to deliver internet service on any scale imaginable. LV.Net also offers colocation hosting, and cloud computing. Colocation hosting allows a user to move their server into LV.Net’s secure data center which has excellent internet and power connections. After being housed, installed, and configured, a user may then remotely maintain their server from a location offsite. Our Network Operations Center is located inside a former bank vault. It has redundant power, an emergency backup generator, and climate control. LV.Net’s data center has bio-metric access control and video surveillance. Colocation hosting can make sense when a company’s bandwidth resources are otherwise not sufficient for its internet use. With colocation hosting, the user has peace of mind knowing that equipment and data are stored safely. LV.Net also provides cloud computing options. Back end equipment and software can be located and maintained on LV.Net’s premises and accessed offsite using an internet connection. Cloud computing can allow a user to realize economies of scale when a user’s front end equipment that is located offsite can be minimized, and back end equipment can be used to a fuller potential. Back end equipment and software can also potentially be serviced more efficiently when located on LV.Net’s premises. If you are considering high speed internet in Mountain Springs for a convention or temporary event, please give LV.Net a call today at 702.900.0000 to discuss options that we provide in Mountain Springs. LV.Net will be in Mountain Springs to provide top tier high speed wireless microwave internet. We look forward to speaking with you. Have a convention or in need of temporary High Speed Internet 1Mbps to 1000Mbps in Mountain Springs call us now 702.900.0000 for a quote or email us.